Japanese index cards of Allied prisoners – includes name, nationality, place of capture, parents’ names, rank, unit and more. Lists of prisoners created by liberating armies during 1945. Regimental nominal rolls – includes name, rank, regiment and date. War diaries and testimonies of prisoners. Lists of those who died while imprisoned. Photographs of prison camps – includes over 45 photographs of prisoners in Japanese camps (WO 341/2045). Correspondence between the International Red Cross and the governments of belligerent nations. Lists of recommendations for honours and awards for service while imprisoned. The captives include military personnel and civilian men, women and children from Britain, Australia, America, and Europe. Many who were captured were subjected to forced labour, starvation diets, cruel living conditions and, for some, torture. The collection includes records from Changi prison where many of the prisoners were forced to work on the Thailand-Burma railway. For help reading some of the Japanese records use the List of stamps, Symbols in Japanese in POW Cards created by the Dutch National Archive . As the Japanese swept through the Far East, conquering colonies and territories, they captured large numbers of both military and civilian prisoners. Life within the prison camps was harsh and conditions were life-threatening. Prisoners had to try to survive on minimal food while being used for slave labour. Thousands were used to build the Thai-Burma railway, known as the ‘Death Railway’ because of the thousands who suffered and died while forced to work. Those who worked on the railway suffered under the most barbaric conditions, including long hours of intense heavy labour with minimal food and water. The events of this time have been recorded in many memoirs and novels, such as, The Bridge on the River Kwai, The Narrow Road to the Deep North and The Railway Man. The records include the names of the men who wrote or were mentioned in these novels. Prisoners could be moved at short notice either on foot or by boats and trains. They had to contend with dysentery, malaria and tropical ulcers which were rampant throughout the camps. The death rate in the Far East prisoner of war camps was nearly 25%. The Japanese army did not follow the International Red Cross standards for prison camps. Often parcels from the Red Cross and families were withheld from the captives. Escape was nearly impossible. Camps were hundreds of miles from Allied territories and scattered across the Far East. In the records, we can also glimpse something of the aftermath for these POWs following the end of war from records of testimonies and lists of those who were recommended for awards and medals for their work in the camps. If you or a family member was affected during the Second World War by the Japanese prison camps there are various organisations for support, including the Children and Families of the Far East Prisoners of War 1941-1945 . The Japanese war of aggression and expansion began years before the Second World War. The Imperial Japanese Army was at war with China starting in 1931, when Japan conquered the northern province of Manchuria. As the Second World War progressed across Europe, Japan continued to expand its empire by sending troops into Indochina and threatening British and Dutch colonies. In retaliation, trade embargos were set against the Japanese by the United Kingdom, United States and other Western governments. On 7 December 1941, Japanese Imperial forces attacked the United States Pacific Fleet at Pearl Harbor and swiftly invaded territories across Southeast Asia, seizing Western colonies from the British, Dutch and Americans. The US, China, Britain and Australia all declared war on Japan. Following the attack on Pearl Harbor, 242 Japanese aircraft bombed the harbour and airfield in Darwin, Australia - it remains the largest attack on Australia by a foreign power. The Japanese goal was to rid the Far East of Western power and the unprepared Western forces were forced to surrender to the marauding Japanese Imperial Army. By April 1942, Japan and Thailand had conquered Malaya, the Dutch East Indies, Singapore, Burma, Hong Kong and Rabaul. Singapore was the single largest surrender of British military personnel in the history of the British Army. In the Prisoner of War records are thousands of names of both civilians and military personnel captured during the fall. The capture of the Philippines soon followed and the Japanese Empire stretched to its farthest extent: from the Islands off Alaska to the Burmese border with India. Burma was the largest land campaign of the British Army against the Japanese. Fighting took place in dense jungles and open paddy fields. The Japanese invaded Burma in December 1941 and its capital, Rangoon (known as Yangon today) fell by March 1942. 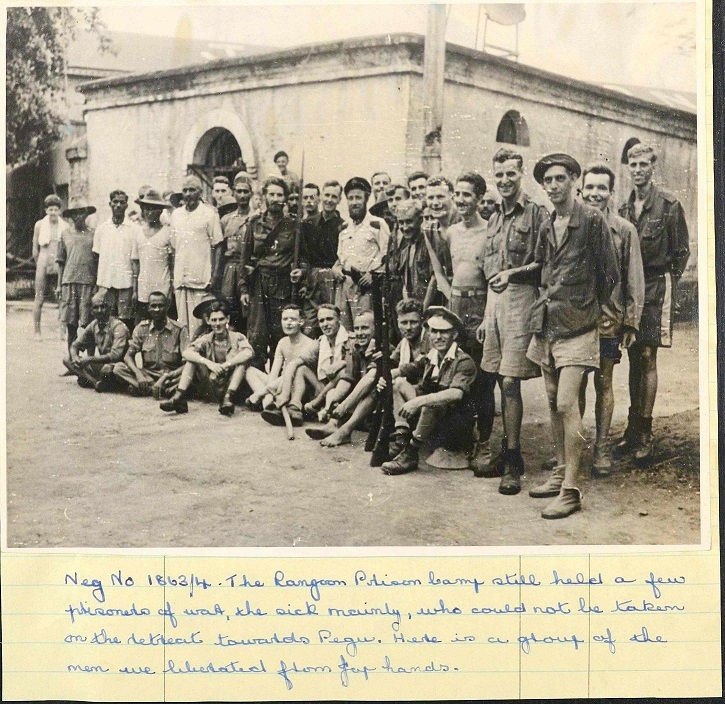 In the records you will find the names of thousands held in the prisoner of war camp at Rangoon. The Burma campaign lasted until the end of the war. It was a bitterly fought campaign by the British Commonwealth forces, under the leadership of General Slim. They were able to hold back the Japanese from further advances in China and an invasion of India. Crucial to the Burma campaign were the Chindits, a Special Forces unit who waged guerrilla-style warfare in the Burmese jungles. In March 1944, the Japanese launched Operation U-Go in north-eastern India at Imphal and Kohima, against the British Empire. The defeat of the Japanese at the battles of Imphal and Kohima by General Slim’s Fourteenth Army signalled the start of the re-conquest of Burma. Their success was assisted by airlifted supplies and reinforcements. After months of ferocious fighting, the Japanese were in retreat. It was the largest defeat in the history of the Japanese army. On 9 March 1945 Tokyo came under fire from the air for 48 hours, with 2,000 tons of incendiary bombs dropped and thousands of civilians killed. Despite the inevitability of Allied victory the Empire of Japan refused to accept the Potsdam Declaration, issued by the US, UK and China on 26 July 1945. The Declaration demanded unconditional surrender with an ultimatum of ‘prompt and utter destruction.’ On 6 August 1945 the first atomic weapon dropped on Hiroshima. Three days later a second A-bomb dropped on Nagasaki. The bombs caused widespread devastation and the Japanese people would continue to suffer the consequences, such as radiation fall-out, for years after. Japan surrendered on 15 August 1945. This date became ‘Victory over Japan’ or ‘VJ Day’ and signified the end of the Second World War.